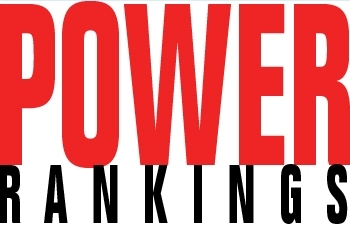 It is with great excitement I announce the launch of our Student Power Rankings. This is an exciting time that will push education into the 22nd century. You have already heard a lot about 21st century education. Some have said, “Well yes, but the 21st century is already more than 10 per cent over.” There is strong evidence that we need to focus on preparing students for the next century. And, the next century will not be about lowering the stakes, but raising them — that is why we are launching our Student Power Ranking System today. We know there is nothing more important than knowing if your child is doing better than the child sitting next to them in class. Now, on a weekly basis, you will have that answer. So, just what are Student Power Rankings? Student Power Rankings will allow you to see exactly how your child is doing in comparison to every other child in the class, school, province, country and beyond. Key factors include: IQ, recent test results, attendance reports and Body Mass Index; these numbers are then crunched into a numerical result accurate to 3 decimal places. Rankings will be updated each Monday morning (or next school day in the event of a holiday). The rankings will be posted at each school and on each school website. It is all about transparency so, once per term, results will be also posted in the newspaper including our “Top 20” Team with the highest scores in each grade across the district. Rankings will also be employed to determine and assign students to classes and to assist them in making appropriate career choices. Also, based on the power rankings, the bottom 10 per cent of students at any grade level will be placed on probation and, of these, 50 per cent will be held back. It is important that the rankings have rigour. The top 10 per cent will receive a T-shirt marked “I am better than 90 per cent of you”. Why do we need Student Power Rankings? We need to prepare students for a world that is more competitive. We also know there has been no better way to improve schools than school rankings based on test scores. Since we know school rankings improve schools (no citation necessary), it is quite obvious ranking students will improve their results. If a child sees himself near the bottom of the rankings, they will work harder to raise their score. It is also not appropriate to think that all students can actually be “good students” — there are always some who must “be better than the others” reaffirming this important principle. There is also a powerful focus on early learning right now, and we will be launching our Pre-K Power Rankings — allowing the community to celebrate their highest-ranked, three-year-olds. If we can let three-year-old students (and their parents) know they are behind (and losing) they can improve. How are the Rankings Unique? One might think anyone can do this, so how are our Student Power Rankings unique? While we have listed several factors that will go into the rankings, the actual algorithm is proprietary and we are not revealing all of the criteria that will be utilized. It is a bit like the Colonel’s secret chicken recipe, or the secret of the Caramilk Bar — one of the key elements in the ranking is an unknown. If we revealed all of the criteria, students could then work toward meeting this criteria and have equal levels of success. Since this is not real life, not 22nd century education, this is not part of our program. Simply put, it is all done by applying a mathematical formula accurate to 3 decimal places. Therefore, a student with an 86.435 will be better than a student with an 85.232 ranking. Math doesn’t lie. Many of you have heard me speak in the past, and I have often complained “With all due respect, If we can rate professional football quarterbacks for passing accuracy, surely we can rank Grade 2 students for the world to see.” Starting today, we will do just that! It is an incredibly exciting time for our district. It almost seems like an annual event that we have this day to make big announcements. 24 months ago we announced The Flog. 12 months ago we announced Quadrennial Round Schooling. And today, we announce our Student Power Rankings! Hopefully, your first day of April is as much fun and exciting as mine! Thank You for this excellent announcement. Well timed as I just posted my daughter’s FSA results on facebook. Some of her friend’s parents noticed and immediately enrolled their children in the much needed enrichment tutoring services. Am so hopeful for those children and am pleased that my daughter’s marks and rankings inspired them to do better. We all love April 1st and it is a good time to start fresh. This made my day. Love the idea of posting FSA Results to Facebook – that should be the new trend. You have way too much time on your hands……but it made me start my day with a smile. Well done. How inspiring! Nothing like shame as a powerful motivator. Can’t wait to tell my 9 and 7 year old. (You totally had me by the way until my husband pointed out the date and stopped me from hyper ventilating!) Thanks for the laugh. It’s high time we brought shame and humiliation back as a true motivator of students. After all, if one can’t feel bad about themselves how can they truly disrespect and neglect the feeling and needs of those around them? Way to go SD45! This is just what parents are after. Finally you have heard us. I have to admit that you had me hooked in absolute horror and disbelief until I read the T-Shirt bit. Thanks for the laugh! Thanks for the chuckle, Chris. Perhaps the Fraser “people” could use these rankings to weed out future social inepts? I can’t wait until next year’s Parent Power Rankings. Love the idea of Parent Power Rankings! Of course, my Principal Power Rankings are also ready to go . . . . I always look forard to April 1st to see what creative idea will emerge, Chris! A very timely and very real message. We are MORE than a SCORE! Absolutely priceless!! I too was starting to hyperventilate in disbelief that this was occurring. As soon as I read “We know there is nothing more important than knowing if your child is doing better than the child sitting next to them in class.” I cracked a smile and read on – Well done! Happy April Fool’s…. This was great, Chris! I particularly like the inclusion of the BMI and the three decimal places – important to be accurate, don’t you think? Hope you had a great day fooling everyone! Thank you for making me laugh out loud! I also very much like the inclusion of the BMI results, especially considering they may be as valid as FSA results. You definitely topped my prank of student seat selection for the morning! You got me again this year! A good chuckle. LIke a TedTalk I heard, it’s important to have FUN when it comes to education! Just reading this today…was thinking…”Is this guy for real?” I am in Ontario, and was about to contact everyone I know at the school board to make sure this phenomenon wasn’t coming my way! It took me a few times reading through it before noticing the date! WOW! Such persuasive writing. I am currently laughing at myself out loud! With this new system, my wife and I will be able to sleep so much better knowing that we as parents no longer need to worry about which track to put our kids on, your algorithm will do this for us! That is of course, once your district begins to sell this little secret.